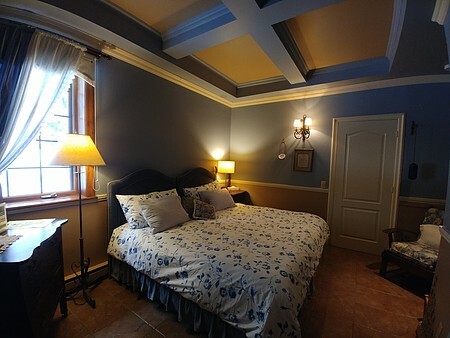 Rates from $124 to $154 /per night/ for two persons, Breakfast included. $35 per extra person. A unique experience for your well being with all the details and more. 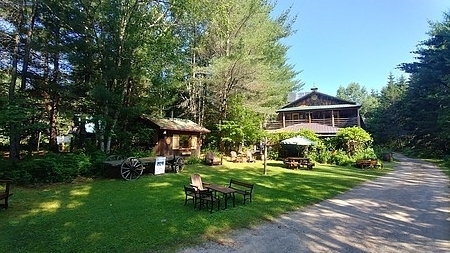 A health haven beside the bicycle path, 8 minutes from Mont Tremblant, (by car). Healthy & delicious breakfast homemade from our organic garden's harvest, and fresh eggs from the henhouse.We are proud to be the very first B&B in Quebec whose products and meals were certified organic by Ecocert Garantie Bio. 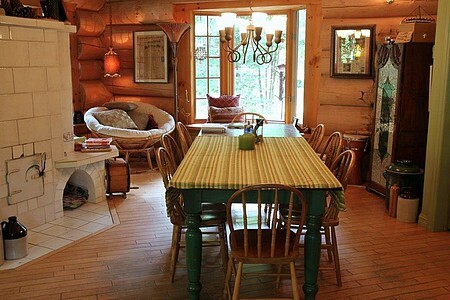 Our bed & breakfast is completely independant from the main log house, for your privacy. Every room has a balcony. Year round shiatsu treatment, hiking. 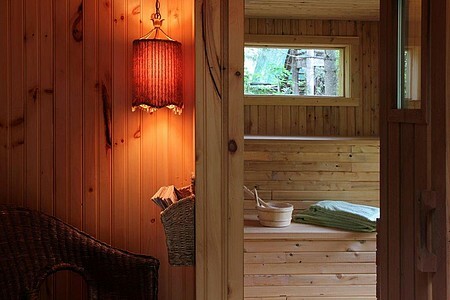 In summer, organic lunches in a Victorian Pavillion, Shiatsu treatments, workshops on medicinal plants, yoga, nature teachings, garden visit, bird watching. 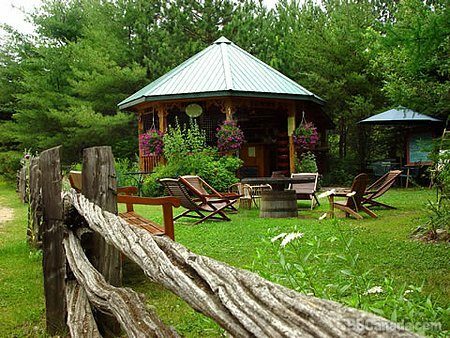 Spa, bicycle, canoe, kayak, snow-shoe,ski, horseback riding, packages. etc. In winter, only 10 minutes from skiing, cross country skiing, skating, dog sledding. Access to the beautiful sandy beaches of Rivière Rouge. Seasonal Information : Open all year long. New: Classification of Hebergement Quebec, 4 suns.